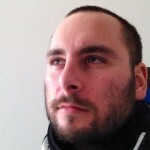 Filippo De Santis graduated in Computer Science at Bologna University with a theses on Agile methodologies and TDD in collaboration with Ideato s.r.l. He first got in touch with Agile Methodologies at Durham University (UK), where he studied for 9 months. He has been working at Ideato s.r.l. since 2008, constantly increasing his knowledge of php and Agile development. He likes nearly any kind of food.